WOW! 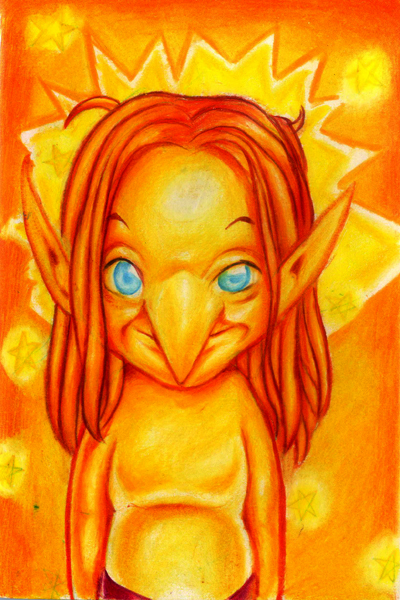 I can imagine a whole children's story, (or adult story), about the troll who loved the sun and the problems that caused him in troll society-you could do a whole book--how fun! Thanks Mary! Yes that would be a great idea for children's book indeed! In fact I have a similar story about a wimpy troll in my head, and you give me an incentive to actually do something about it (I always have a lot of stories in my head but never got round to writing them down...or rather, storyboarding because i'm more of an artist than writer)...so I can eventually get to writing the story about the sun troll.